Welcome to the world of vaping! As a beginning vaper, you’ve probably already realized that there’s plenty of vape learning material to keep you busy for a long while. From figuring out your new vape device to deciphering terms like “sub ohm” and “squonking,” the learning curve can be steep for a newbie vaper. The good news is that learning and experimenting is half the fun of vaping, and with the industry’s constant innovation and tech advancements, there’s always something new to try. Plus, the vaping community is known for welcoming new members with open arms, and there’s no better way to improve your vape skills than spending time with fellow vapers. The VaporFi team is always proud to be a part of any newbie’s journey into the world of vaping, and our virtual shelves are stocked with a wide variety of products that are perfect for beginners. Whether you’re searching for your first-ever vape device, looking to upgrade your vape game to a mod, or building your e-juice collection, VaporFi has everything you need. We’ve created this handy shopping guide to break down everything you need to get started, from a list of top vape brands to product suggestions and money-saving deals. With our beginners’ shopping guide in hand, you’ll be ready to dive headfirst into your new vaping hobby. Like any booming industry, the vape community has no shortage of brands and product lines, truly offering something for everyone. But for new vapers, the vast number of brands can seem overwhelming at first. Luckily, there are a handful of brands that lead the pack, names you can trust to provide you with the best of the best when it comes to your vape experience. 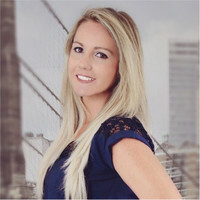 We didn’t just include our in-house brand out of complete and utter bias – every single member of the VaporFi team genuinely believes in the quality and performance of our innovative vape products. The VaporFi brand has worked diligently to stay ahead of the curve when it comes to the latest vape technology, combining advanced features with user-friendly designs to offer a truly enjoyable vape experience for all. Plus, we’re able to offer our products at industry-best prices, so you don’t have to blow your budget in the name of a high-quality vape. You can purchase vape devices, e-liquid, accessories, and more from the VaporFi brand. SMOK is one of the rare brand names that commands a sense of respect across the vaping community. The brand’s legacy has always been upheld by their dedication to unparalleled quality and design, with devices that incorporate cutting-edge technology in a way that makes sense for everyday vaping. In the brand’s early years, they focused on products for the advanced vaper, but many of their most recent releases are designed with the newbie vaper in mind. If you’re looking for a vape device that epitomizes performance and sleek aesthetics, then SMOK might be right brand for you. Innokin’s earliest vape devices are still going surprisingly strong today, which tells you everything you really need to know about this knockout brand. Their talented team of designers and engineers goes above and beyond to consider vape community feedback, taking suggestions and constructive criticism and using it all to make better, smarter devices that fit vapers’ needs. Innokin vape devices manage to straddle the entire spectrum of vape experience levels, with options for the brand-new vaper as well as devices for the super-advanced, highly discerning vape vet. 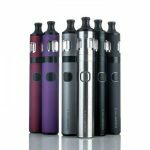 Another characteristic that Innokin is known for is their excellent affordability, with a number of quality, budget-friendly devices to choose from. Vaporesso crafts their vape devices for the vaper who wants something different, designing their products with a laser focus on visually stunning designs and high-tech features. 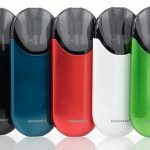 One of the stand-out features of Vaporesso devices is their sleek aesthetics and eye-catching colorways, with many of their vapes incorporating unique design elements like geometric patterns and holographic finishes. Vaporesso’s line-up of vape mods also manages to offer something at every price point, from entry-level vape pens to luxury mods that are worth every penny of the long-term investment. For this reason and more, it’s a great name to keep in mind if you’re looking to build a long-term relationship with a vape brand you love. Wismec is a great brand for the tech-savvy vaper, one who appreciates being on top of the latest vape advancements and technological breakthroughs. Their vape mods have a distinct appearance that includes solid – but never bulky – styling with an ultra-modern touch. 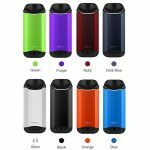 You’ll be able to choose from design options that include vibrant colors that stand out from the typical vape colorways, and the brand’s consistent focus on growth and improvement equals major benefits for Wismec devotees. One of the easiest and smartest ways to start vaping is to find a great starter kit. Starter kits typically come with just about everything you need to begin vaping, all you’ll need to do is add your e-juice of choice. Here are a few great options for beginner-friendly starter kits that provide a top-quality experience from day one. Another excellent pen-style vape, the SMOK Resa Stick Vape Pen has a visually stunning design featuring a cobra resin exterior that comes in several eye-catching color options. The Resa Stick is specifically designed for excellent vapor production, with impressive specs that include a 2000mAh battery, generous vape juice capacity, and a voltage range of 3.4 to 4.2 volts. Another benefit of the SMOK Resa Stick is its solid collection of safety features, keeping you and your device safe during the learning process. The Innokin EQ AIO Vape Pod Starter Kit. Pod-based vape systems are popular with beginner vapers, and for good reason. High-quality options like the Innokin EQ AIO Vape Pod make the vape experience incredibly simple, incorporating convenience into every aspect of the design. The EQ allows you to choose between two different output options to tailor your vape experience, while its refillable pod cartridge makes for mess-free refills and works equally well with standard vape juice and nicotine salts alike. Finally, the EQ AIO is lightweight and compact and comes with a budget-friendly price that makes it a smart, low-risk investment. With the release of their Nexus All-in-One Starter Kit, Vaporesso knocked it out of the park in terms of fuss-free vaping. Despite its compact size and relatively simplistic design, don’t let the Vaporesso Nexus fool you – it won’t disappoint you when it comes to performance. 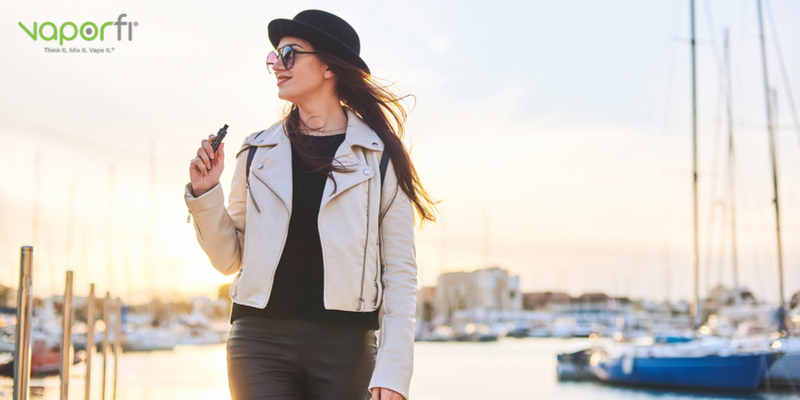 The draw-activated design makes for a pleasantly familiar experience for former tobacco cigarette smokers, offering a great option for making the switch from old-school smokes to tech-savvy vaping. The Wismec Motiv 2 AIO Vape Pod Starter Kit. Affordable, easy to use, and ultra-convenient, the Wismec Motiv 2 AIO is a serious contender in the world of pod-based vapes. Wismec designers focused on crafting a device that could supply purely delicious flavor quality, a satisfying nicotine hit, and absolutely zero hassle, and they managed to check every single box. The Motiv 2 has a 500mAh battery that will sufficiently power your vape sessions, as well as a 3mL refillable pod cartridge that plays nicely with salt-based e-juices. Its subtle battery indicator tells you everything you need to know, and there are no settings or adjustments to spend time tinkering with. Want to hit the ground running with a high-performing vape mod? 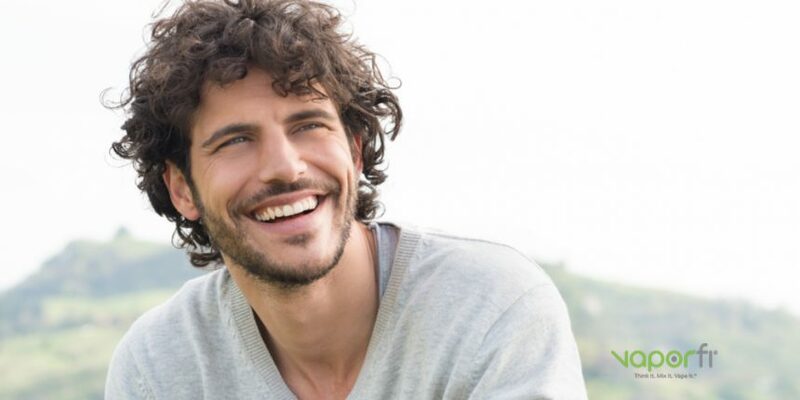 Here are five excellent options that are ideal for serious newbies. The VaporFi VOX 80 TC Mod. The VaporFi VOX 80 TC MOD can be described with just one word: powerful. It’s fueled by a 4000mAh built-in battery, supporting up to 80 watts and offering precision-level variable wattage and temperature control. The VOX 80 is durable, reliable, and stylish, with a sleek OLED screen that puts all your important vape stats just a quick click away. You’ll be able to enjoy the process to experimenting with various coil options, including both TC and variable wattage coils crafted from Ni200 and Stainless Steel. The firing button is your key to calibrating your ideal vape using the VOX 80’s vape modes, such as Bypass, TCR, Power, and Ni200. The Eleaf iStick Pico 75w TC MOD. This petite vape mod may look simplistic, but its performance capabilities are anything but basic. The Eleaf iStick Pico 75W TC MOD was designed to combine both user-friendly operation with high-performance power, all backed by an easy-to-recharge 18650 battery. You’ll be able to fire up to 75 watts and choose from an array of features and modes like TCR, variable wattage, and temperature control. Pair the iStick Pico 75W with your favorite coils (Titanium, Stainless Steel, or Ni200), stay on top of your vape info with the clear display screen, and receive regular firmware updates to keep your mod going strong. 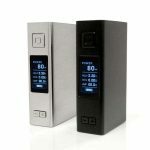 The iJoy Captain PD270 234W TC Box MOD. 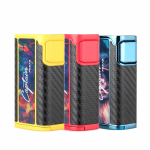 With a fun-loving design that makes great use of color, the iJoy Captain PD270 234W TC Box MOD is a great vape match for the laid back vaper who refuses to sacrifice on performance. The Captain is a dual-battery mod with superb battery life and consistently solid performance, all powered by the advanced IWEPAL chipset. You’ll achieve serious cloud chaser status in no time thanks to the Captain’s excellent vapor production capabilities and 234 watts of pure power. 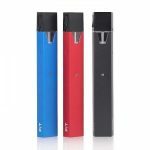 Plus, it’s a lightweight, compact device that works well for vaping on the go, making it easy to get in quality vape practice time anytime, anywhere. The Sigelei TOP1 230W TC Vape MOD. Ready to invest in a premium vape MOD that can stand the test of time? Look no further than the Sigelei TOP1 230W TC Vape MOD, a bold device with distinctly futuristic styling. Designed with ergonomics in mind, the Top1 fits comfortably in the palm of your hand and is ideal for extended vape sessions. You’ll operate the mod using its three-button interface, navigating through the options displayed on the crystal-clear 1.3” TFT display. With an 800-millisecond instant output, the Top1 exceeds expectations for responsiveness, going above and beyond to provide fast, meticulous usage. The Wismec Reuleaux RX2 20700 TC Vape MOD. Wismec’s Reuleaux series has garnered attention for its impeccable craftsmanship, stylish details, and high-performance capabilities. The Reuleaux RX2 20700 TC Vape MOD carries on the legacy with an impressive RX200 chipset, incorporating highly desirable features like TCR mode, a full temperature-control suite, multiple memory modes, and the ability to fire as low as 0.5ohm and up to 200 watts. You’ll be able to comfortably experiment with your new vape thanks to the safety support offered by Wismec’s excellent protection suite, guarding against a multitude of potential errors and issues. 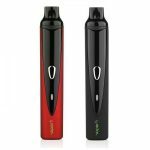 Most newbie vapers elect to start out with a vape pen, which is a great option if you’re looking for simplicity and easy enjoyment. Another benefit to a vape pen is that it can provide a similar feel to old-school cigarette smoking, which is great if you’re hoping to kick your habit. 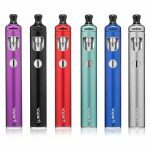 The VaporFi VAIO GO Vape Starter Kit (In Colors). The VaporFi VAIO GO may be making its second appearance in our shopping guide, but it’s definitely earned its repeat mention. Aside from being stylishly designed and easy to use, the VAIO GO is discreet, compact, and super convenient. Unlike many basic vape pens, the VAIO GO doesn’t scrimp when it comes to flexibility. You can choose from two (included) mouthpieces to fit your vape style, whether you prefer mouth-to-lung or direct-to-lung vaping. Also, the VAIO GO’s different atomizer options – both of which are included in the awesome starter kit – are designed to satisfy varying airflow preferences. The SMOK Stick Prince with TFV12 Prince Vape Starter Kit. True to SMOK’s signature style, the Stick Prince with TFV12 Prince Vape Starter Kit is the epitome of luxury vaping, all contained in a compact, user-friendly vape pen. The Stick Prince may not come with a litany of complicated settings and features, but don’t assume that it falls short performance-wise – with 3000mAh of integrated power and up to 8 mL of vape juice capacity, it absolutely measures up. Small details like the top-fill tank design have a big impact on the convenience of the Stick Prince, while comforting safety features keep your vape sessions danger-free. 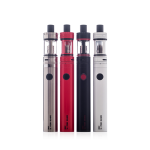 The Innokin Endura T20S Vape Starter Kit. 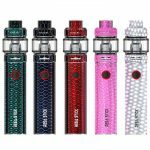 The Innokin Endura T20S Vape Starter Kit is one of the latest devices to debut in the Endura series, finally giving mouth-to-lung vapers the simple but satisfying vape they’ve always wanted. 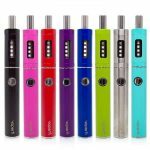 It utilizes one-button activation for superbly easy operation, while the 1500mAh battery supplies all the power and battery life you need to get through extended vape sessions. This specific kit pairs the Endura T20S with the Innokin Prism T20S tank, a well-designed tank that holds a solid 2 mL of e-liquid. 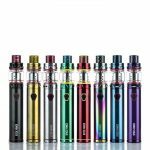 The Joyetech eGO AIO D22 XL Vape Starter Kit. 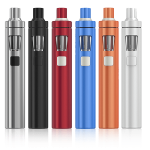 Joyetech has long been an industry leader in all-in-one vape pen advancements, so it’s no surprise that the eGO AIO D22 XL has debuted to excellent reception from the vape community. This compact vape pen manages to capture all the best features that have traditionally been reserved for larger vape mods, including a formidable 2300mAh battery, a sizeable 3.5 mL-capacity tank, and excellent vapor and flavor capabilities. It’s lightweight and easy to take on the go but doesn’t ask you to sacrifice performance for the sake of convenience. Utilizing a bottom-feed atomizer, the eGO AIO D22 set-up can work with just about any coil configuration, providing itself to be the ultimate in versatility. The VaporFi Pro 3 Vape Starter Kit (In Colors). For beginner vapers who are making the move away from traditional tobacco cigarettes, the VaporFi Pro 3 offers an unparalleled mouth-to-lung experience that’s impressively comparable to old-school smoking. You’ll be able to mimic the feel of traditional cigarettes without dealing with the smoke, ash, or tar, and the Pro 3 will make the switch sweet and simple with its smart features and thoughtful design. This starter kit includes the Pro 3 tank, which is 510-threaded for excellent versatility and features a premium 2.0-ohm atomizer that’s engineered to produce massive, delicious clouds. Once you choose your perfect vape set-up, it never hurts to have back-up vape options and accessories to keep the good times rolling. Here are a few excellent options to start stocking up on now. The VaporFi Air 2 Mini Vaporizer. Even if you’ve already found your perfect vape set-up, it’s worth adding the VaporFi Air 2 Mini Vaporizer to your collection. For less than the price of a restaurant dinner for two, the Air 2 Mini offers a great vape experience in an ultra compact AIO package. It’s an ideal device to use for vaping on the go because its compact profile fits easily in any pocket or purse. The 1.4 mL tank holds just enough vape juice without bulking up the device, also providing a smart top airflow design that creates a mouth-to-lung experience that closely resembles traditional smoking. You’ll be able to use it right out of the box thanks to its straightforward operation and no-frills design, which is always a plus for your “back-up” vape. The SMOK FIT Ultra Portable Vape Starter Kit. Take your vape sessions on the go with the SMOK FIT Ultra Portable Vape Starter Kit, designed to focus on simplicity without sacrificing quality. 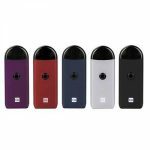 This all-in-one pod system maximizes convenience with refillable 2 mL cartridges, storing plenty of vape juice for a good vape session without weighing down your pocket or purse. 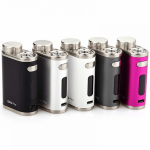 The SMOK FIT is completely draw-activated, eliminating the need for complicated button sequences or navigation screens. Built into the FIT is a slim but powerful 250mAh battery, offering all the power you need to enjoy your vape sessions to the fullest. The Innokin Endura T20 is a great option for beginners and advanced vapers alike, whether you want to make it your only vape device or part of your growing vape collection. Its small size and easy operation make the Endura T20 an ideal option for using as a secondary vape, or for keeping on hand for those unexpected on-the-go vape sessions. One of the highlights of this quality device by Innokin is its compatibility with high-VG juices, which is a notable feature you won’t find in many budget-priced options. Single-button activation keeps operation pleasantly easy, while the simple refill design, smooth draw, and sleek style all contribute to the Endura T20’s enduring status as an excellent device. The Kanger SubVod Mega TC Starter Kit. Calling the Kanger SubVod Mega TC an “accessory” or “back-up” to your other vapes is somewhat of a disservice because it’s a seriously impressive vape device in its own right. The 2300mAh battery fuels high-performance vape sessions, and you’ll be able to customize your vape with features that include temperature control abilities and adjustable airflow control. This starter kit pairs the device with the TopTank Mini, a premium tank option with a sizeable 4 mL capacity and an advanced design that makes the most of Kanger’s innovative coil options. Many cannabis users are turning to the vape industry to improve the quality of their experience, and plenty of brands are rising to the occasion by creating excellent starter options. The VaporFi Orbit Dry Herb Vaporizer Kit. The VaporFi team took everything we knew about traditional vaping and combined it with the best of dry herb vaping to create the Orbit Dry Herb Vaporizer Kit. This premium vaporizer goes above and beyond the call of duty to provide an unparalleled dry herb vape experience, specifically crafted to meet the particular needs and preferences of cannabis users. It’s stylish and durable, with the ability to easily handle high-volume, extended use. VaporFi Atom Dry Herb Vaporizer . This pocket-sized vaporizer delivers on performance and style, maximizing your dry herb enjoyment with its quality design and thoughtful features. You’ll be able to easily manage your vaping temperature thanks to the handy LED light interface, which changes color to communicate variances in temperature. Locking in your ideal vape temperature is as easy as holding down the fire button, making it simple to always be dialed into your perfect settings. Other useful features include the battery preservation mode, life-saving sleep mode, and an easy-to-maintain design. Finally, you’ll need great e-juice to really make the most of your new vape set-up, and these options offer the best bang for your buck in terms of quality, flavor, and high-end ingredients. VaporFi Raspberry Mocha Vape Juice. 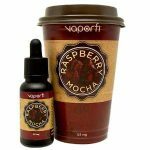 Our Raspberry Mocha Vape Juice is a VaporFi customer favorite, blending the delicious flavors of rich dark chocolate, fresh raspberry, robust espresso, and creamy steamed milk. It’s like the best gourmet latte you’ve ever had, minus the expensive price-per-cup and crowded coffee shop. Each of the flavors comes through distinctly without ever overpowering the overall experience, so you’ll enjoy a multi-layered vape experience that’s truly flavor nirvana. The 60 mL bottle is a great value, offering a generously-sized amount for a budget-friendly price. Create Your Own Vape Juice Blend. What could be better than designing your dream vape blend, using a dazzling array of premium VaporFi flavors? Our Custom Blend tool makes the process easy and fun, opening the door for nearly 30,000 possible combinations. You’ll have the option to keep things simple with just a single flavor or get a little creative by mixing two or even three different flavors in a single blend. Then, you can tailor the flavor strength, VG/PG ratio, and nicotine level to craft your perfect e-juice. Choosing a VaporFi custom blend means you’ll have access to our premium ingredients and top-rated nicotine, and your e-juice will be made in a professional, FDA-registered lab that exceeds industry standards. VaporFi GRND RSRV E-Juice Collection. In creating our GRND RSRV collection, the VaporFi goal was to offer customers a high-end juice option that didn’t come with a luxury-sized price tag. 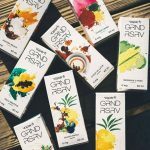 With most 60 mL bottles clocking in under the $30 mark, the GRND RSRV series has premium flavor combinations, exemplary ingredients, and artistically-inspired packaging and bottles. Delicious blends like Catch Ya Latte, Meringue O Tang, and Havana Beach go beyond the standard flavor blends to offer vapers a new, exciting take on vape juice possibilities. Menthol is a timeless, versatile flavor that has a special spot in the hearts of most vapers, giving them a nostalgic flavor experience that reminds them of old-school cigarettes. The crisp, minty taste perfectly complements a wide range of other flavors, adding a boost of icy coolness that makes your vape sessions enjoyable and invigorating. VaporFi’s menthol-centric blends include several takes on the classic minty flavor, as well as a number of juices that combine menthol with flavors like tobacco, chocolate, and fruit. Tobacco: another exquisitely beloved flavor by vapers everywhere, but one that can be tricky to get right if you aren’t using a quality e-juice. Luckily, VaporFi has nailed tobacco flavor in a variety of forms, offering creative variations including Classic Tobacco, American Red, Sahara Gold, and more. Every vaper should have at least a few tobacco options in their e-juice collection, on reserve for those days when your cravings lean towards classically delicious. 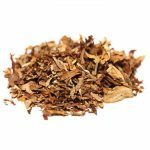 Spice up your tobacco juice collection by adding a few new flavor blends, balancing robust tobacco taste with other flavors like mint, caramel, and cherry. The quality of your vape experience boils down to a few factors, the first and foremost of which is your vape set-up. Any vaper can improve their technique and build their vape knowledge, but you’ll never achieve true vape perfection if you’re working with sub-par products. Luckily, VaporFi is your trusted source for high-quality vape products from the industry’s top brands, making it easy to browse without running into lame clones or cheaply-made knockoffs. Plus, being a VaporFi customer comes with a whole host of benefits, making it easy to choose us for all your vaping needs. Save money with our everyday free shipping and low price guarantee, then put those extra dollars to good use by joining our Blend of the Month Club. It’s easy to rack up the savings with VaporFi, because we’re 100 percent dedicated to customer happiness. Check out our Auto Delivery program for great product discounts and earn valuable product points through our Loyalty Program. We’re here to make sure you have the best possible vape experience, from the very first time you power up your new device to your 5,000th vape hour – and beyond. Browse the VaporFi blog for more great vape information or contact our friendly team for answers to all your vape questions.